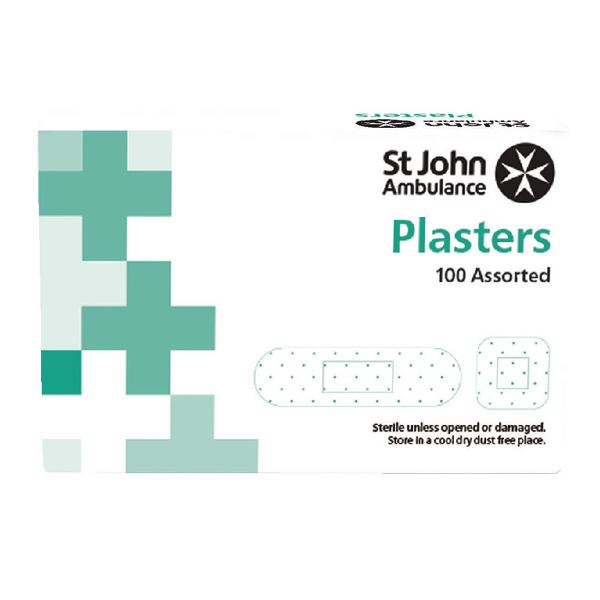 Ideal for kitchens, caterers and other food environments, these St John Ambulance Blue Plasters are both visually and electromagnetically detectable. The dressing is latex free, highly absorbent and designed not to stick to the wound site for increased comfort. Ideal for refilling first aid kits, each sterile, self-adhesive dressing comes in a plastic wrapping. 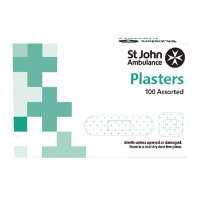 This pack of 100 assorted sizes includes 2.5 x 7cm, 2 x 7cm, 4 x 4cm and 5 x 7.5cm plasters.